This is the first of many to come, I’m sure. Not too much writing involved here as it’s pretty self explanatory. 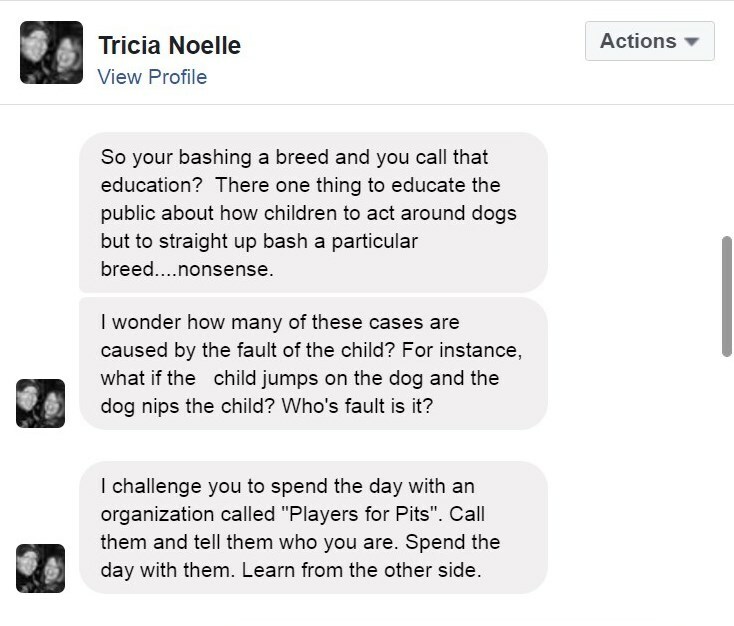 This is how things play out in the advocacy of trying to warn the public of the potential dangers of keeping fighting breeds (pit bulls) as pets. A volunteer for Daxton’s Friends was handing out fliers at a pet expo in Chicago yesterday. That’s lovely. 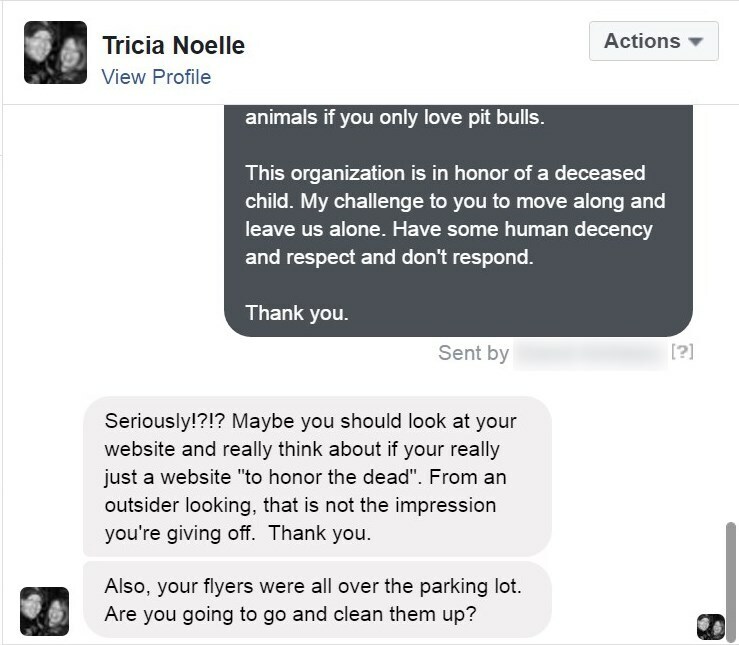 Admitting that some of the attendees of the Chicago Pet Expo were litterbugs. She then blocked the page so we couldn’t respond. 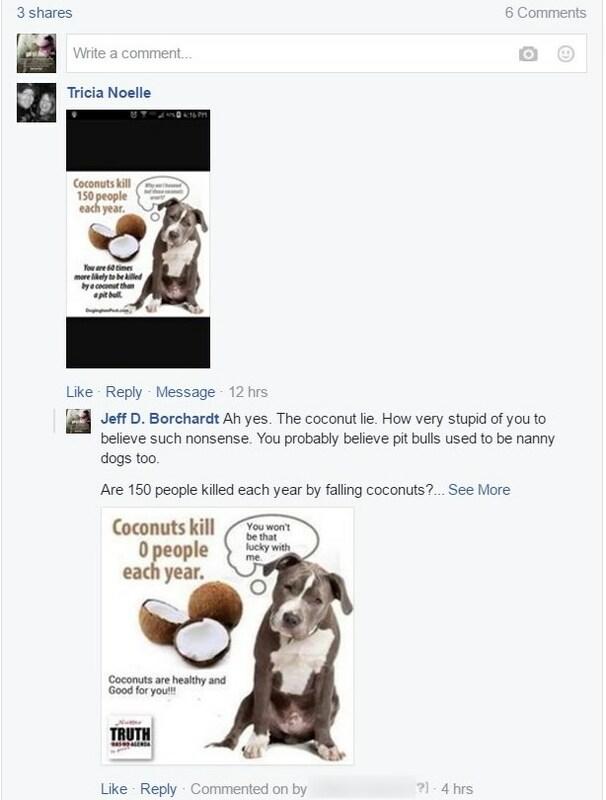 The next morning I woke up and checked my Jeff D. Borchardt public figure page and saw Tricia commented on my “Coconuts kill more people than pit bulls” meme overnight. 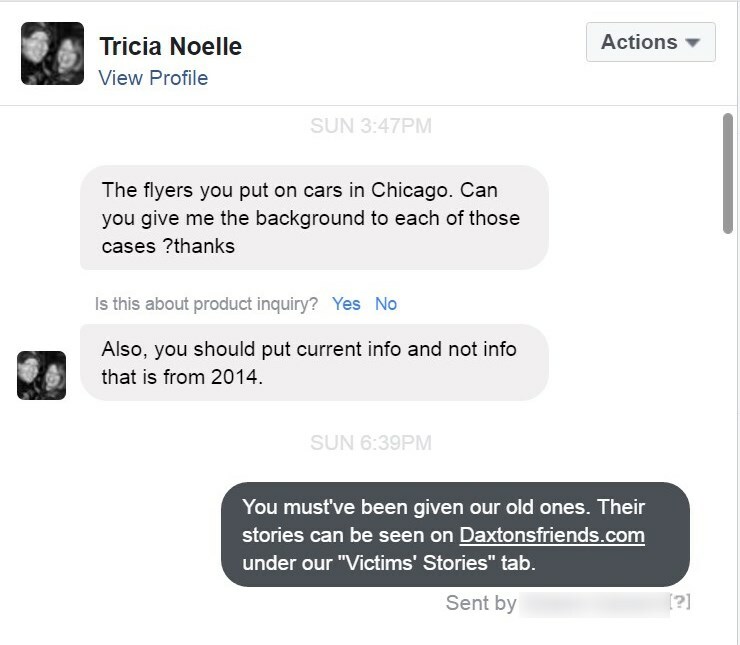 This entry was posted in hate mail and tagged Crown Point, Indiana, Tricia Noelle. Bookmark the permalink. Hey! Look at that! Cool! 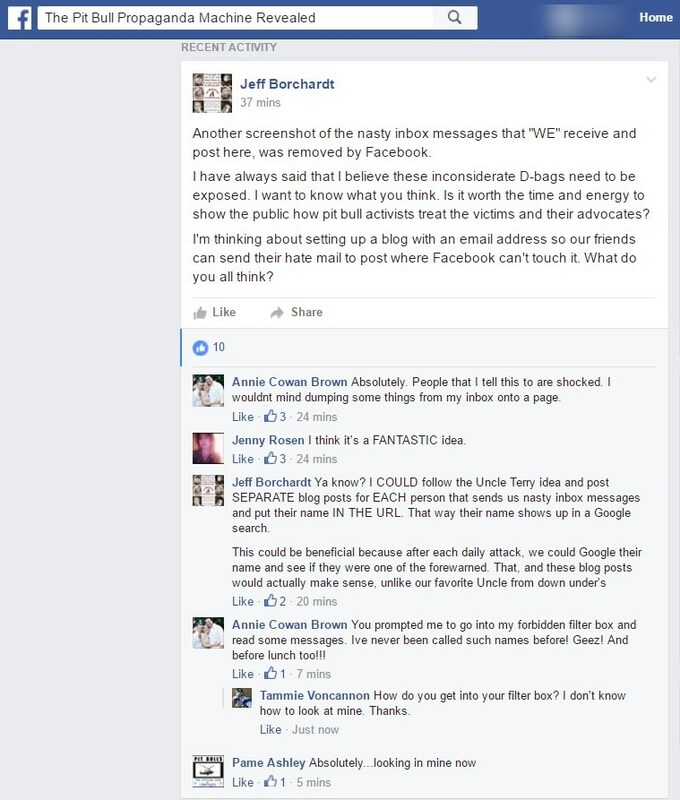 You make yourself look bad Jeff. Jeff can hide behind his computer. I like to see you talk to some of these people face to face. I think you need to be medicate. I AM out on the streets raising awareness, sweetheart. Do you think these fliers are distributing themselves? 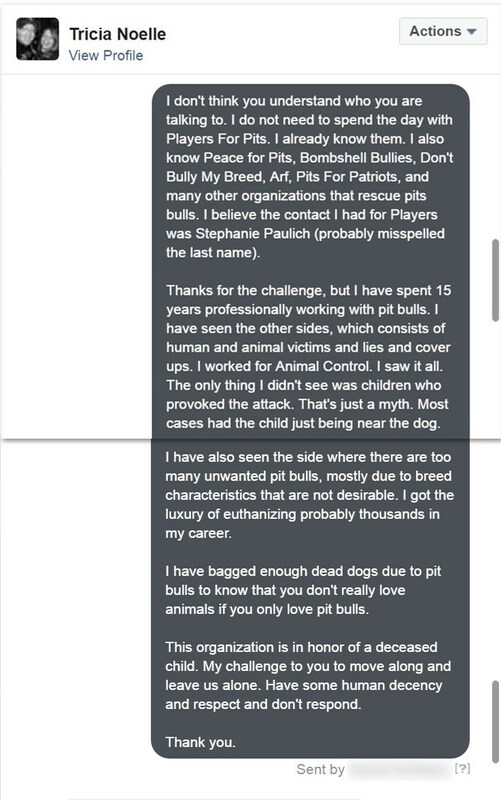 I talk to people face to face about pit bulls killing my son ALL THE TIME. And you know what? It seems like EVERYONE I talk to has a story to tell about these dogs.